Happy Birthday Misty K. Snow! Home > News > Happy Birthday Misty K. Snow! In the fight for social equality and economic stability, there are few allies that match our friend and compatriot Misty K. Snow. Since beginning her campaign, she has been a stalwart voice for the working class, calling for a rise in the minimum wage and a reform of Wall Street. She has fought for the creation of a national, single-payer healthcare system—calling for healthcare be treated as a right, not something for the privileged few. In the struggle for LGBT equality, Misty Snow has called for laws preventing employers from firing workers because of their sexual orientation or gender identity. Like us, she believes that nobody should be disadvantaged by their class, race, or identity. For each of these reasons and more, we want to wish Misty Snow a full-throated happy birthday! Her continued support of Americans who have been left behind by the stratification of our economy shows that the solution to a declining standard of living is not rooted in bigotry and xenophobia. The solution is rooted in a real respect for the principle of equality, which says that everybody—regardless of class—deserves a life of dignity and fair treatment under the law. 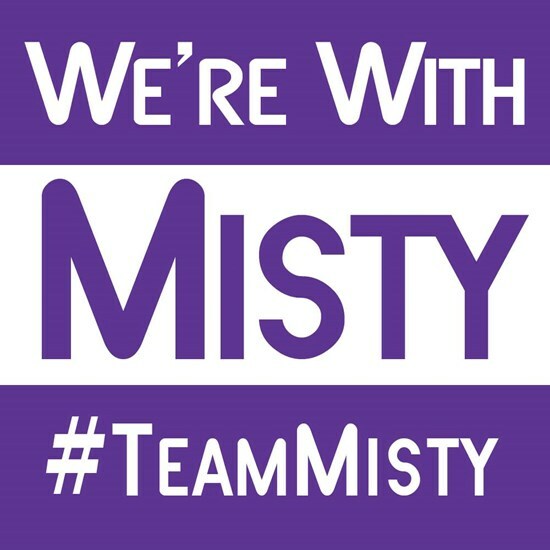 So from one Misty for Congress campaign to another, we offer our thanks and support.